Our specialised deep cleaning in Hammersmith is the efficient and inexpensive way to bring your place up to scratch after long periods of disuse, cleaning neglect or absence. Deep cleaning is one of our fully comprehensive property treatments designed to cover the all rooms and areas of the premises. It is better to use it than one off cleaning for better cleaning results. Our guarantee is to have every square inch of the place, cleaned to and industry standard finish without risk of damage or substandard cleaning results by our cleaners in Hammersmith. Perhaps the biggest advantage of our Hammersmith deep cleaning is the fact that all cleaning chores will be handled by a single service provider – us. This will ensure consistent results all round, and better cost efficiency as you will not have to secure the services of different cleaning companies – we save you time, effort and resources. Should customers require additional cleaning options, like upholstery or oven cleaning, to be included in the default service, we will be more than happy to arrange for those to be added. 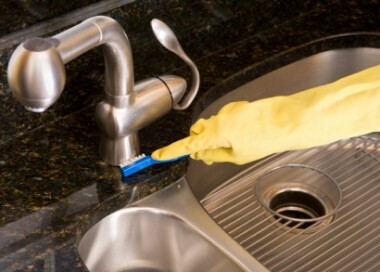 Combining services is a great way to save money and get more cleaning done. As mentioned, deep cleaning is one of our detailed service solutions. The cleaning process will cover all rooms and areas of the place, including hard to reach and out of sight spots, which also need proper cleaning. We understand that every customer has specific cleaning requirements, this is why the deep cleaning is fully customisable as we know that flexibility and versatility are essential. In light of this, our cleaners can focus their attention on heavy duty areas like the wet rooms and the kitchen which usually need more cleaning. Furthermore, the cleaners will deal effectively with cleaning of high traffic zones like hallways, staircases and front door areas. These are the interior features seen first by guests and visitors so it makes sense to keep them clean and fresh. Our professional deep cleaning service in Hammersmith is all about consistent, high quality cleaning results all round. This is why we work with specially qualified cleaners who have many years of relevant experience in professional property cleaning. On top of that, we use the most advanced and efficient cleaning systems as they yield better results and reduce cleaning time. Minimised cleaning duration translates to fewer overall costs for our customers. The purpose of our specialised Hammersmith deep cleaning service is to bring lasting hygiene and immaculate cleaning results where they are needed most. The service is a perfect alternative to those endless here-and-there weekend clean ups which only waste time, effort and resources really. 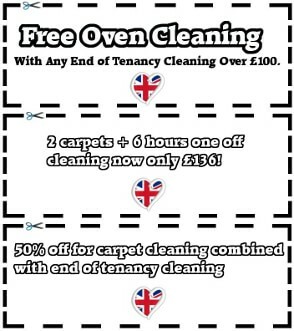 When talking price, our deep cleaning will be a pleasant surprise for customers. We keep our service prices within reasonable limits without compromise on quality or efficiency of our work. We guarantee to provide the fairest quotes and most competitive pricing. The entire cleaning process will be completed within the agreed amount of hours without any costly delays or unnecessary hassles for our customers. For customer convenience, deep cleaning service appointments are booked for all days of the week, no exceptions, under flexible hours.